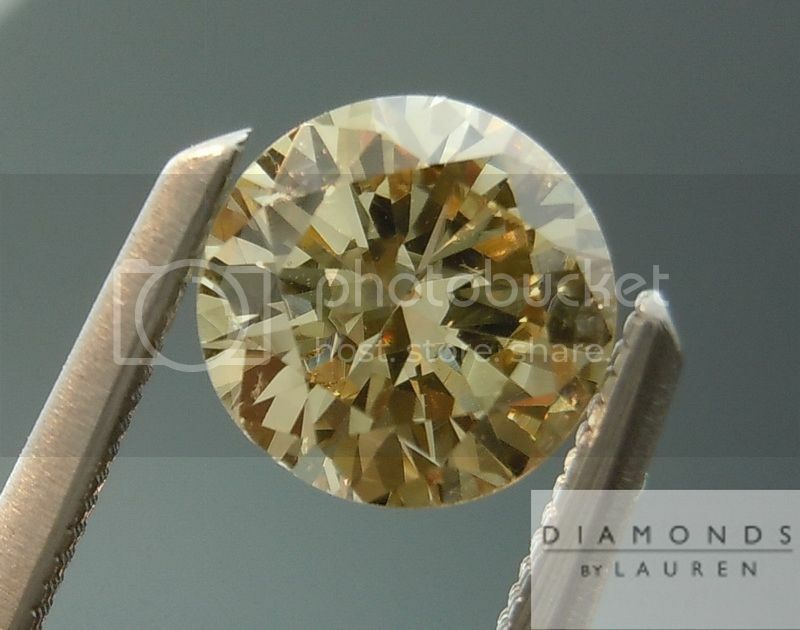 It is amazing how a brown diamond like this one can be so brilliant, and so brown at the same time. 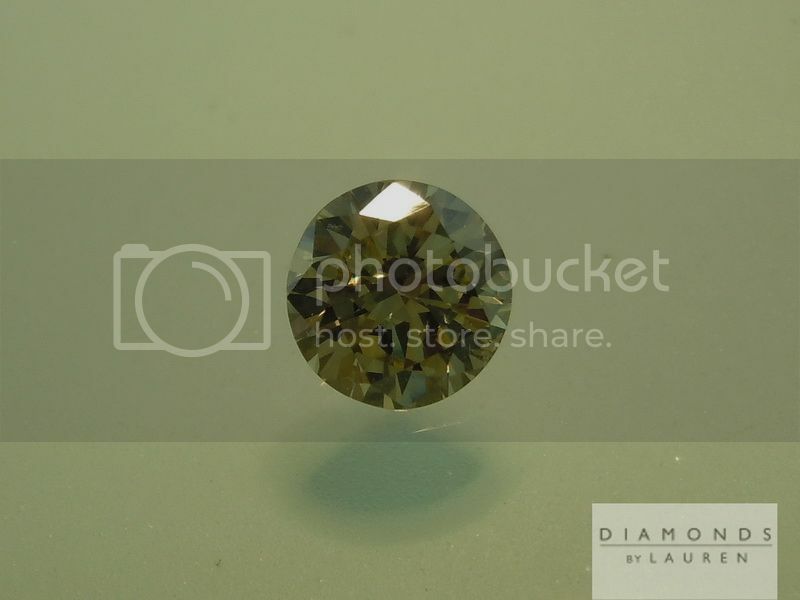 Brown, in and of itself, is not a bright color. 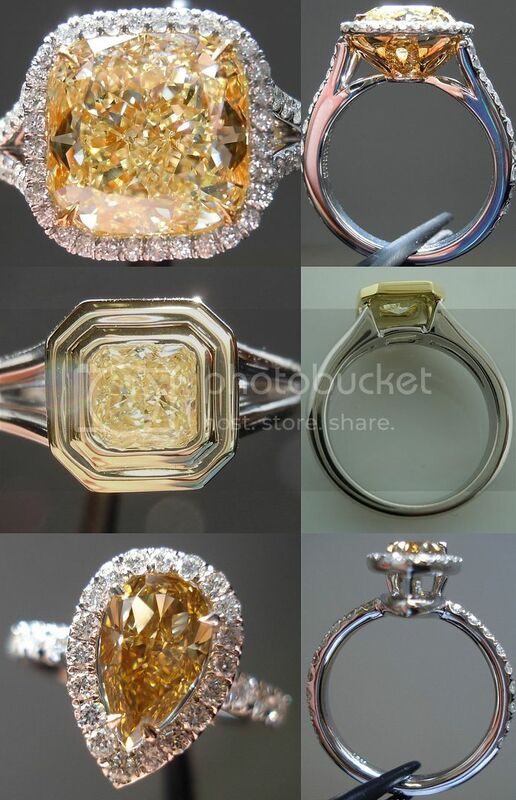 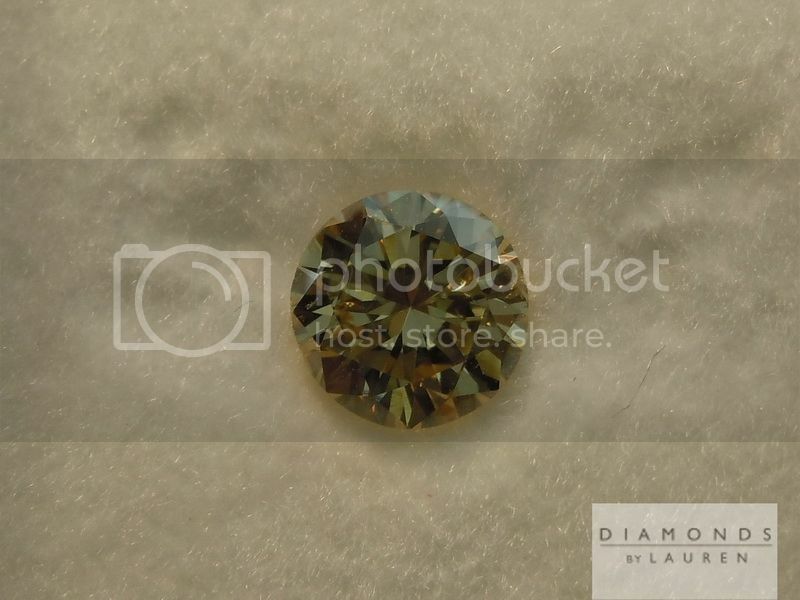 Yet in this case a brown diamond can be quite bright. 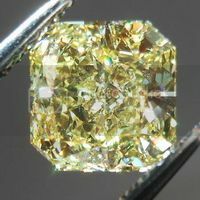 There is a fair bit of yellow. 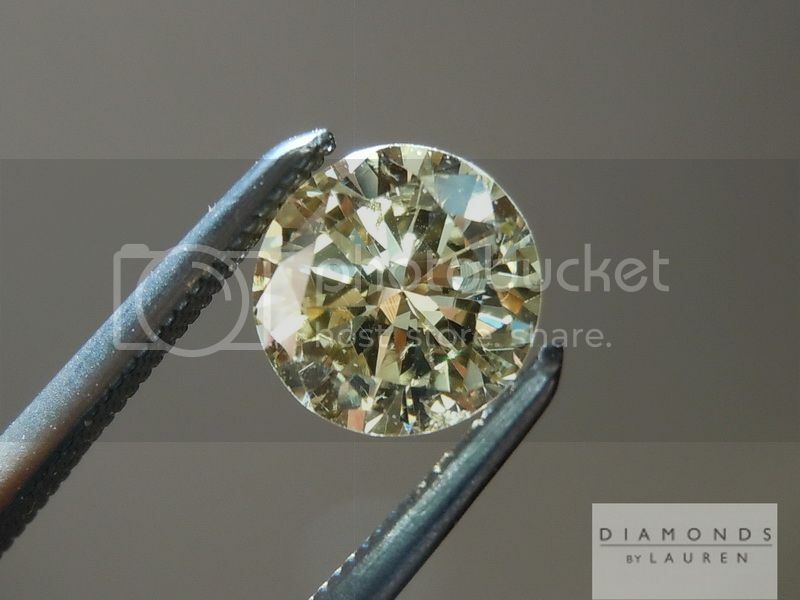 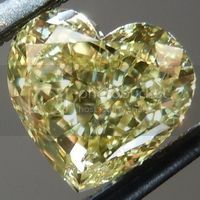 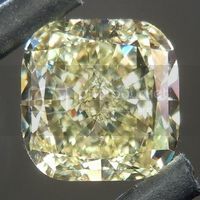 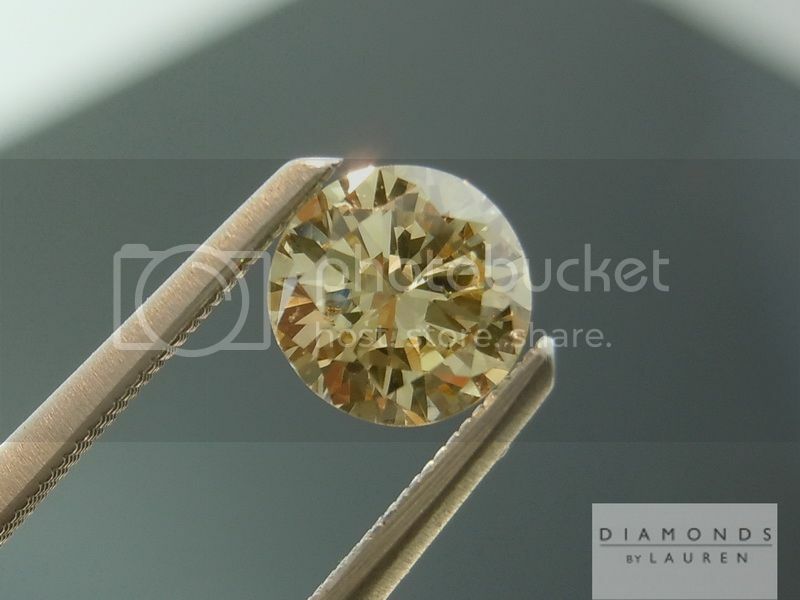 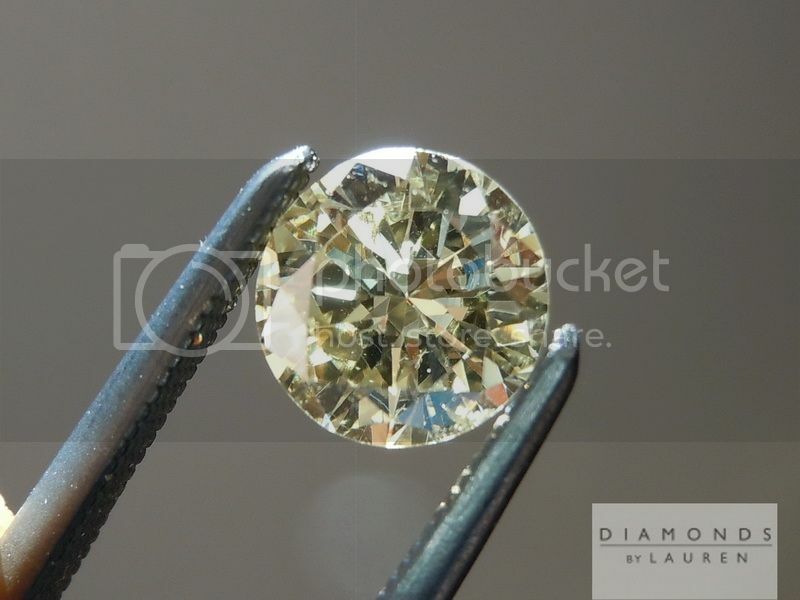 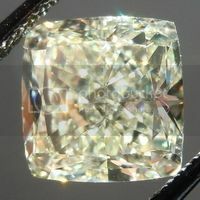 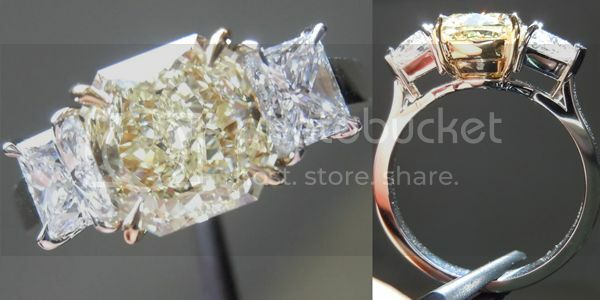 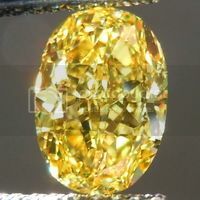 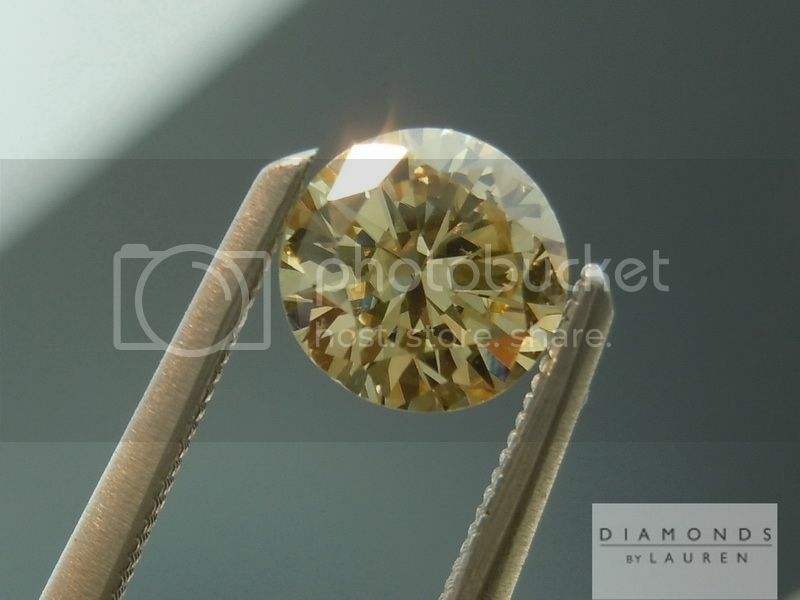 Like many brown diamonds there are some grain lines visible under close examination and in the photos. 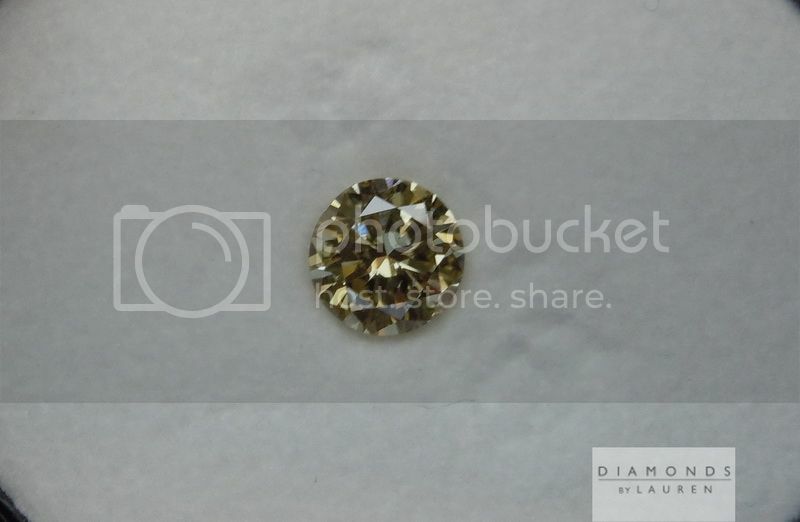 This is actually essential to brown diamonds' ability to transmit their color. 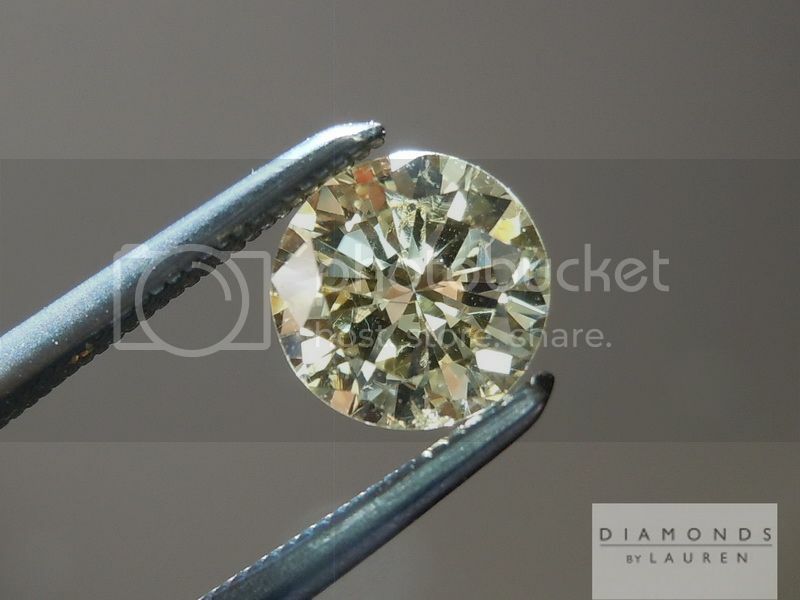 This guy is a totally eye clean SI2 - looks large for its weight. 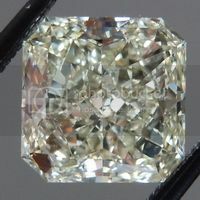 Speaking of which, on this particular stone we found IGI to be off by a pretty substantial margin on measurements. 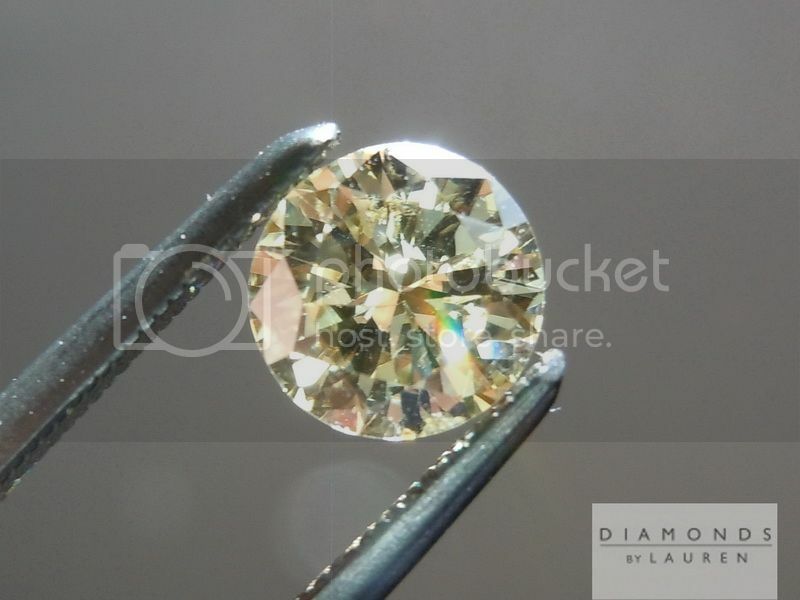 They measured the stone as 5.53-5.65mm... ouch. 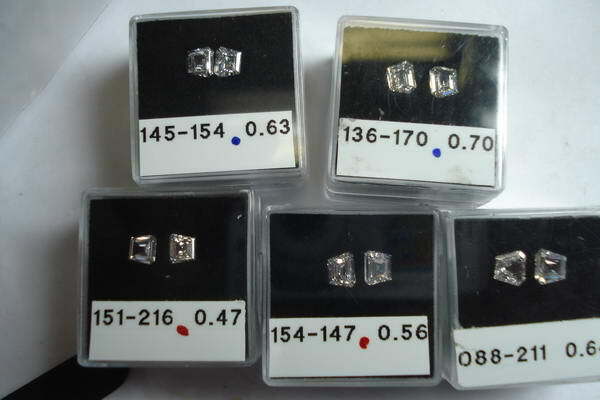 We measured the stone many times and could not find a side measuring more than 5.53- the smallest is 5.50. 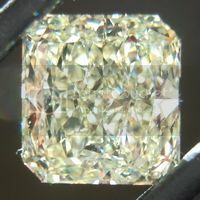 This is normal variation in a Modern RBC.